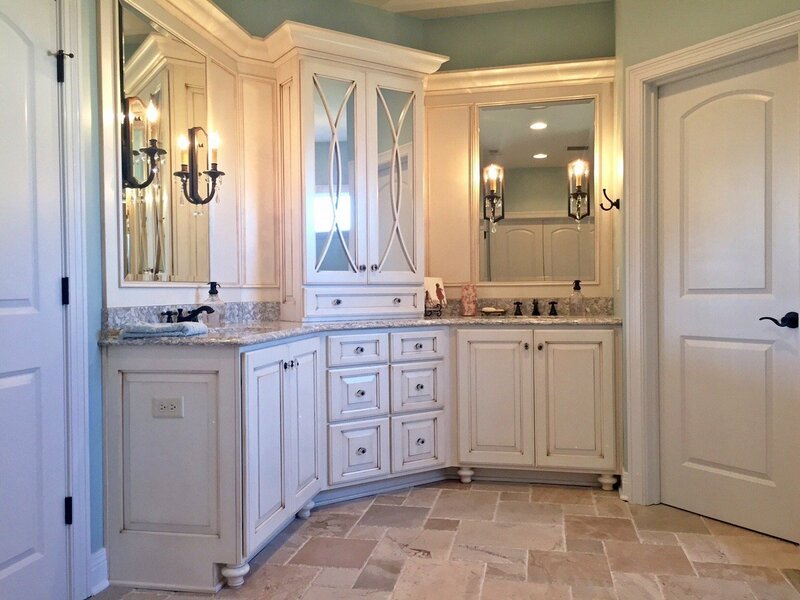 When it comes to selecting a vanity for a bathroom there are many features to consider. 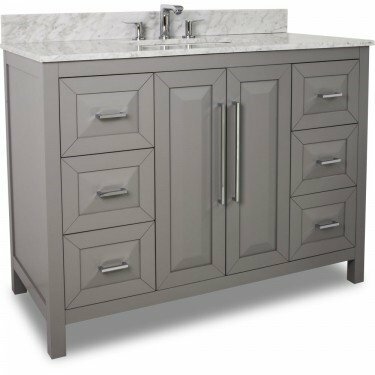 Style, aesthetics, storage, function, & room size can all play a big factor when designing cabinetry for any bathroom in the house. Pre-fabricated furniture-look-a-likes are a great option for powder rooms, especially when space is limited. 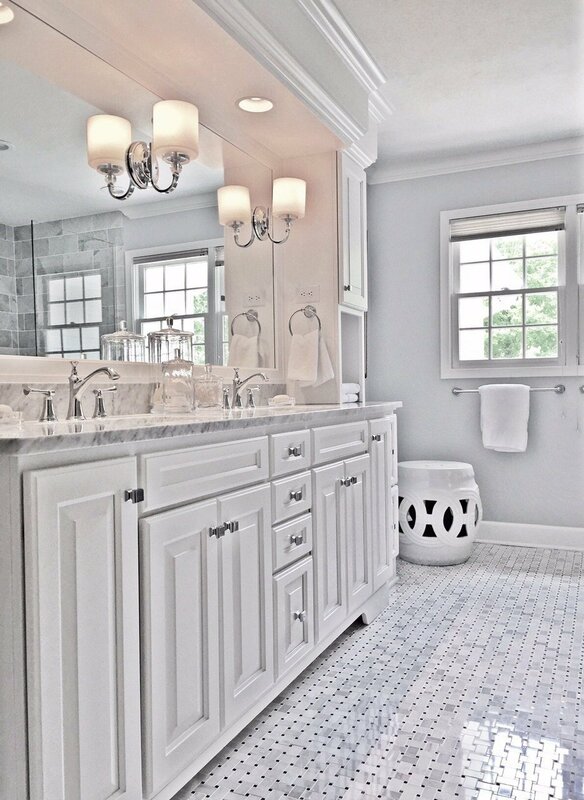 That said, freestanding units are not limited to just powder rooms, they can serve as the perfect statement piece in any bathroom in the house. Available in several sizes, finishes, and styles, these units can fit into a variety of different spaces and designs. Some are offered with decorative and ornate details, while others are more streamline with open shelves & metallic features. 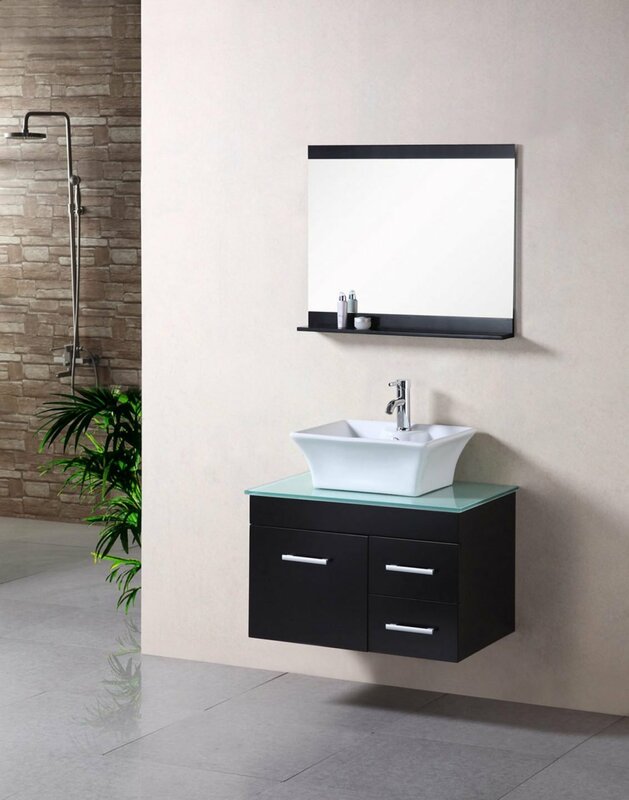 Most of these vanities are offered as a package, complete with a countertop, sink, & hardware. 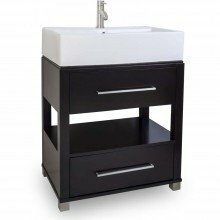 While these packages are generally less expensive than standard cabinet vanities, they are not able to be customized. Most cabinet lines offer several different door/drawer configurations along with the ability to modify cabinets to the homeowner’s liking. These customizable options are great If storage is of the utmost importance. Not only do these cabinets offer more configuration options, typically more door styles, finishes, and cabinet construction options are also available too. In general, custom cabinetry is of higher quality than pre-fabricated freestanding units. 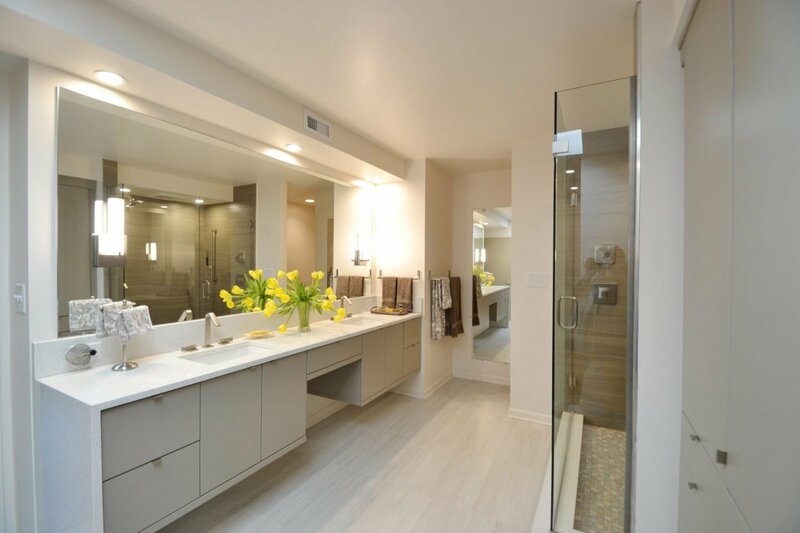 These are just a few reasons why custom cabinets are most often designed in master bathrooms. 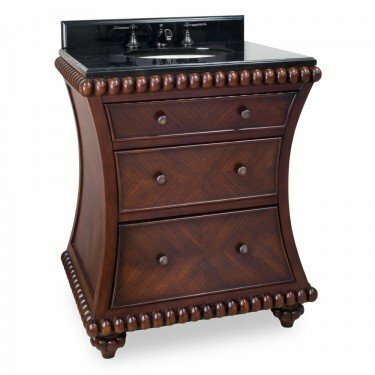 If you are seeking a furniture type look, but wanting a vanity produced from a cabinet factory, Mid Continent’s Vanity Program might just be the perfect fit. A semi-custom cabinet line, Mid Continent Cabinets allow the ability to select a door style and finish from the entire cabinet line, along with the door/drawer configuration, and cabinet construction while still giving the option to add a decorative platform or feet to finish out the free-standing look. Again, this style could work in any bathroom of the house. Looking for something a bit more contemporary? Consider a floating vanity. These units are hung from the wall & allow for a completely open toe and are often sleek and simplistic in design. To truly bring the look to life, under-cabinet strip lighting can be installed on the bottom of the cabinet box. Not only do the lights allow for the vanity to become a focal point, but they can serve as perfect night lights too. 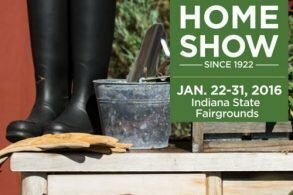 To see each of these different vanity options or to begin designing one for your bathroom please visit our website at liveaco.com or call 317.575.9540 to set up an appointment with one of our designers today.